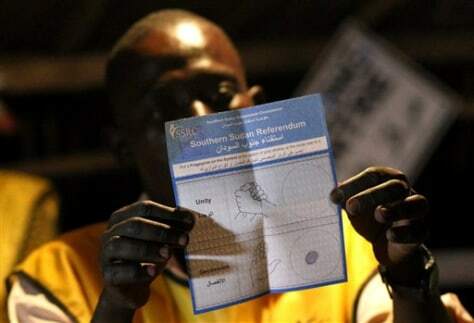 An election official shows a pro independence ballot as votes are tallied at polling station in Juba, South Sudan, on Saturday. Results began trickling in immediately after polls closed Saturday evening. Almost everyone expects the south to vote overwhelmingly to break away from the north, cleaving one of Africa's larger nations in two.